Jabotinsky was a true democrat. Those in the settler movement who profess to embrace his principles must embrace the democracy that he championed. And that means real democracy, and not the pseudo-democracy that lies at the heart of Dani Dayan’s recent political plan, published in the New York Times on June 9. The heart of the Dayan plan was that the separation barrier should be taken down and the material circumstances of West Bank Palestinians should be improved. However, their political status—no citizenship in Israel and no Palestinian state alongside Israel—would remain the same. But it is Medad who misreads that essay, and the rest of Jabotinsky as well. (Click to Tweet) Jabotinsky promised Palestinian Arabs equal rights and democracy. Settlers, in most cases, refuse to do the same. And not only that; they prefer vague and misleading language to obscure their intentions. And in the process, they twist and misrepresent the words of Revisionism’s founder. Medad’s article is a good example of how this process of distortion works. He notes with approval that Jabotinsky favors “civic equality” for Palestinian Arabs in the Jewish state. Correct—this is the term that Jabotinsky employs. Medad goes on to say that the Palestinians can enjoy “civic equality” without being given citizenship. But that is impossible, and not at all what Jabotinsky had in mind. In “The Arab Angle—undramatized,” Jabotinsky calls for civic equality for Arabs and defines precisely what he means: Arab and Jew are to enjoy equal rights “without limitation.” He specifically uses the word “citizen” to refer to the status that different races and creeds are to be granted. The model that the Jewish state is to emulate in dealing with Palestinian Arabs is that of England, Canada, and Switzerland, each of which bestows citizenship—real citizenship, and not the phony variety—on its minorities. The only exception to absolute equality is to be what is known in Israel today as the Law of Return: Foreign Jews are to be given the right to be repatriated to Palestine. In every other respect, Jabotinsky is committed to equal rights for all, citizenship included. Ruby Rivlin, just elected President of Israel, is a Revisionist who understands this. He believes that Judea and Samaria should be annexed to Israel and that full Israeli citizenship should be extended to the Palestinian residents of the territories. In short, he knows what Jabotinsky is about—and that to compromise on the democracy of the Jewish state is a betrayal of Jabotinsky’s legacy and of Zionist teachings. Rivlin’s position is an honorable one, even if it is troubling in some ways. The trouble with Rivlin’s view, of course, is that a policy of annexing the territories and granting citizenship to Palestinians would leave the Jewish state with a very modest Jewish majority; depending on which demographers you choose to believe, it might mean no Jewish majority at all. Rivlin, devoted to democratic and Revisionist ideals, says that he is prepared to take that risk. Is this a risk that Jabotinsky himself might be prepared to take? It is impossible to know. 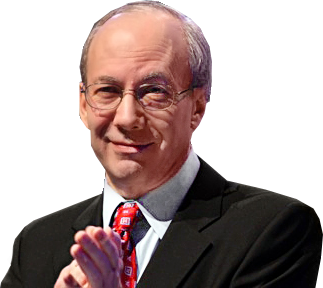 All of his thinking is premised on a Jewish state with a secure Jewish majority. Indeed, he opposed the independence of Palestine until such a majority had been constituted. The assumption that a Jewish commonwealth had to wait for a Jewish majority, is, in his words, “the alpha and omega of Zionist Revisionism,” the bedrock conviction on which all else rests. One can be a devotee of Jabotinsky and argue for and against Rivlin’s proposal for a democratic Israel with a modest Jewish majority. But if you are against, you must offer another solution that is legitimately democratic. You cannot lay claim to the Jabotinsky mantle while opposing the democratic ideals that the founding father of Revisionism ferociously upheld. Sadly, both Dayan and Medad, thinking of narrow settler interests rather than Revisionist principles, do just that. 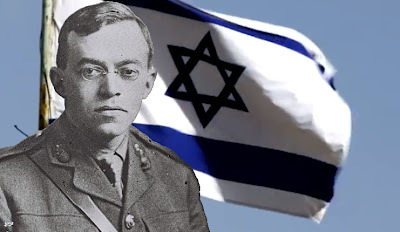 What would Jabotinsky think of the current state of democracy and human rights in Israel? Give me your comments at: http://ericyoffie.com/jabotinsky-2014-06-13.